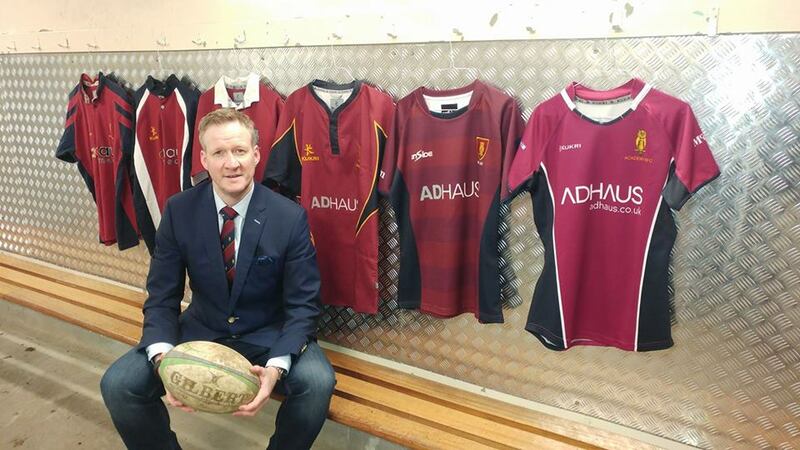 Steve Johnston – Adhaus presented Academy RFC with a new 1st XV Kit. Adhaus has sponsored the Academy 1st XV kit for last 15 years. Steve Johnston and the kits through the years Adhaus have sponsored.